Internet is viral all over the world and so as in Pakistan. In present time, most of the works rely on availability of internet and taking advantage of this things, many internet service providers are emerging in Pakistan with different offers and rates. It’s hard to figure out that which ISP is best and economical. Below is the list of five ISPs along with the rates at which they provide internet facility. PTCL is regarded as the largest internet service provider in Pakistan with a wider network coverage ranging from major cities to remote areas. It is providing different 3G and 4 G internet packages. Its famous Economy broadband package provides the facility of 10GB download capacity in PKR 625 which then rises to 4 Mbps in PKR 1,775 with unlimited download. The company also provides its 4G services via USB in different packages and one famous package is chaarji with 25 GB download in PKR 1500 per month. 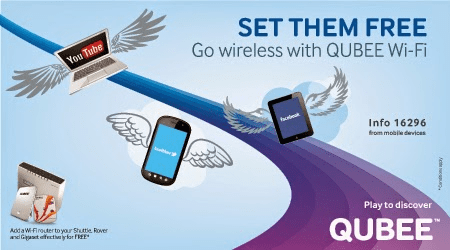 Qubee economy package is famous which is in range of PKR 799 per month with 10 GB to PKR 1,999 with unlimited download and 4 Mbps speed. It is a company that is Qatar based and is providing internet services in Islamabad, Karachi, Lahore, Rawalpindi and Faisalabad. It offers wireless prepaid or postpaid services. Its packages ranges from Basic package which is in PKR 1,199 with 2 Mbps and 30 GB download to unlimited with 5 Mbps speed in PKR 2,199. Wateen is also considered as one of the best ISP providers in Pakistan. It offers wireless services up to 8 Mbps. It’s one of the most famous ISP package is unlimited download with 10 Mbps in PKR 3,000 per month. Zong has newly emerged as one of the fastest speed internet provider in Pakistan. It provides USB internet devices. Its most popular package is the 4G with 25 GB download in PKR 1,500 per month and 4G with 40 GB download in PKR 2,000 per month. I need a usb device for accessing internet on my laptop. in Rawalpindi islamabad area. who has the most reasonable device with lowest daily rates and decent coverage and speed. Thank you.